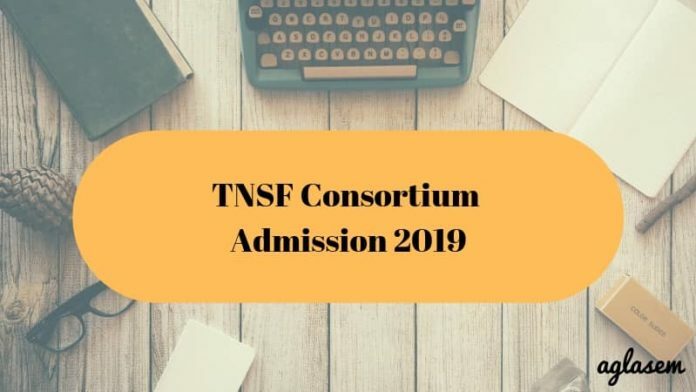 TNSF Consortium Admission 2019 – The admission in engineering undergraduate courses in TNSF Consortium will be based on the marks secured by the candidates in their concerned qualifying exam. The first and foremost step towards the admission in TNSF Consortium is to fill the application form. Candidates must make sure that they are fully eligible to apply for the same. The University will not accept the registration invites of the non-eligible candidates. As per the marks obtained by the aspirants, Consortium will make the merit list and release it on the official website www.tnsfconsortium.org. 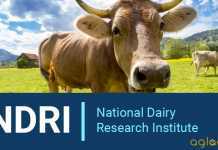 For more details on TNSF Consortium Admission 2019, candidates must scroll down. Candidates seeking for the admission in the TNSF Consortium in the undergraduate courses B.Tech/B.E./B.Arch must fill the application form first. The official dates for the significant events regarding the admission are out announced yet. Candidates can refer to the tentative schedule given below for the same. Candidates who want to take admission in TNSF Consortium in the coming session will have to fill the application form first. There are two ways to complete the registration process. Candidates are advised to ensure the eligibility criteria as the application invite of a non-eligible candidate will not be accepted by the University in any condition. The candidates have to fill in the application form (Data Sheet) provided along with the information brochure. Send the completed application form (Data Sheet) along with the Scrutinizing, Processing & Ranking fees in the form of a crossed demand draft drawn in favour of “Consortium of Self Financing Professional, Arts and Science Colleges in Tamilnadu” payable at Chennai, obtained from any nationalized bank. The completed application form (Datasheet) along with all enclosures should reach the provided address on or before the due date through speed/Registered post with acknowledgment due only. After processing, the hall tickets will be sent by post to the eligible candidates. Candidates need to visit the official website of the University and log onto the candidate portal to proceed further for filling the application form. In the application form, the asked credential will be the candidate’s personal details, educational qualification, contact information, and many more. Candidates must check out the online procedure for submitting the application form. Read the instructions thoroughly by downloading the B.E / B.TECH / B.ARCH Admissions – 2019 information brochure and follow the steps. 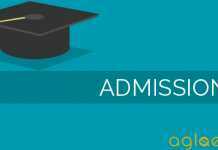 For online registration of your application click on B.E / B.TECH / B.ARCH Admissions – 2019 Online Application. Open the application format by clicking the B.E / B.TECH / B.ARCH Admissions-2019 ONLINE APPLICATION and type required data & Verify whether all data is correctly entered. Submit the application by clicking the submit button at the bottom of the application format. After a short time, your filled in application along with an application number will appear on the computer screen. Take a Printout of this application on an A4 size standard copier paper. Affix your recently taken color passport size photograph on the application in the space provided for this purpose. Affix your signature in the space provided for this purpose. Send the completed application form (Data sheet) along with the enclosures and a crossed demand draft drawn in favour of “Consortium of Self Financing Professional, Arts and Science Colleges in Tamilnadu” payable at chennai, obtained from any nationalised bank for Fee particulars). The application must be sent to the following address so as to reach the Consortium Office on or before the last date of the submission. On receipt of your application along with demand draft, processing will be done and the Hall Ticket will be despatched by post to eligible candidates. Candidates must check the eligibility criteria first before applying for the admission in B.E./B.Tech/B.Arch. Through the eligibility criteria, candidates will be able to scrutinize if they can apply for the admission or not. In case, if any candidate will found non-eligible then his/her candidature will be forfeited by the concerned authorities. Candidates must have the 10+2 Senior Secondary School Certificate or equivalent with Mathematics as subjects of the examination. Must have secured minimum 50% marks in the senior secondary. 10+3 Diploma (any stream) recognized by Central / State Government with 50% aggregate marks. International Baccalaureate Diploma after completing 10 years of schooling. Must have secured minimum 50% in aggregate with Mathematics as a compulsory subject of examination. A pass in the HSC (Academic). A pass in anyone of the HSC (Vocational Subject). When the candidates produce grade certificates, they have to produce the actual marks also otherwise only the minimum marks applicable to the grades in the eligible subjects i.e (Mathematics, Physics & Chemistry) will be taken into account. And also, do refer to the General Information / Important point section provided in the brochure itself. TNSF Consortium will be taking the admission in the various undergraduate courses on the basis of the marks obtained in the subjects of the qualifying examination. The University will release the merit list in which the names of the appearing candidates will be mentioned as per their ranking evaluation. The admission criteria for the reservation category candidates will also be the same. Although these candidates will get some marks relaxation for the same concern. Selection of the candidates will be done on the basis of marks, that they have obtained in the prescribed subjects in the qualifying examination. The academic marks in the prescribed subjects will be reduced to a base of 200. (Mathematics for 100, Physics + Chemistry for 100). Ranking of the candidates will be done based on the total marks to a maximum of 200. After the normalization of marks in the relevant subjects in the qualifying examination conducted by different boards, the qualified students of different boards shall be merged into a common merit list. In case if more than one candidate receives the same marks in the common merit list, inter-se merit among such candidates will be determined in order of their priority. According to their percentages in Mathematics, Physics or of marks in the fourth optional subject, Date of birth & Random number assigned. The rank list will be published on the official website after the successful accomplishment of the process. And the candidates will also be informed of their ranks individually by the certificate through a post. For more details about TNSF Consortium Admissions 2019 – Download Information Brochure 2018.